Show your designer spirit with this Clear Glass Chrome Touch lamp - goes with everyting or put your own decal on it. This 6 panel pumpkin brass chrome touch lamp has a 3-way touch sensor that uses regular 1-way light bulbs. Changing your light level is as easy as 1-2-3. One touch on the metal gives you the lowest light level, a second touch gives you medium light and a third touch sets you lamp to its highest level of light. A final touch turns your lamp off. 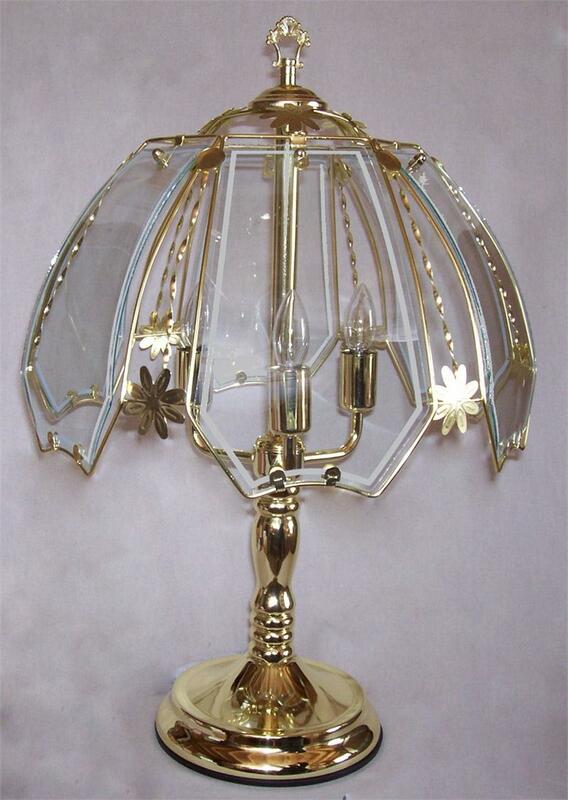 Lamp is brass plated with glass shades. Lamp is unassembled. Assembly involves inserting the glass in the shade and then putting the shade on the base. Lamp includes light bulbs.